When you look at where PPC was 10 years ago to now, it is quite scary to see just how much the most popular advertising platform has changed (being Google AdWords and AdSense). 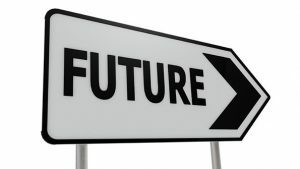 It also begs the question where does the future of PPC lie? Has PPC advertising stagnated with its innovation or will it be able to adapt to better target audiences and gain conversion for advertisers? Looking into this, here are my main thoughts with regards to the future of PPC advertising. The first thing that rings out to me is that PPC could be seen to have saturated its development, to improve the platform. At its core, adverts appear on paid search results and publisher websites to gain the exposure for web users to click onto them and convert onto a landing page – this is something about PPC that has not changed. Over the last few years, we have seen a rise in different forms of advertising, namely sponsorship and native advertising. Sponsorship is a great source of promotion by paying people and other companies to promote their products. This is generally why you will always see Instagram fitness people with sponsorship for protein shakes etc. – it enables specific targeting that is endorsed by someone credible, that people follow and even look up to. Native advertising works by displaying advertising in the same structure and form as the content that surrounds it. This is exactly why it has proved so successful for the social media websites, such as Twitter, Facebook, LinkedIn and Instagram – it blends so well that the majority of people, when scanning their devices, cannot tell it is advertisement (unless they stop and look to see the ‘Paid advertisement’ sign in the corner of the advertisement. Although we will always use search engines and websites for content, there does seem to be more and more people using social media, which is why there has been a huge rise in sponsorship and native advertising. In terms of the future, I would say this is where online advertising will hold strongest. However, it is not all bad news for PPC advertising. We are getting to a very exciting time where artificial intelligence and machine learning is starting to make its way to the consumer. This also means PPC advertising will be able to utilize such technology, making the whole process smoother and more efficient. We have already seen this with the likes of Ezoic, who use machine learning and AI to auto-optimize the many variables that effect the revenue generated by adverts. Google has also recently released ‘Auto Ads’ which does something similar. For this reason, with PPC advertising getting smarter and smarter, web users are going to see more contextual and relevant adverts, making their experience with the search engine giant and PPC more positive. This, in term, will have a positive effect on web users, who will be more active to engaging with PPC adverts if the platform has a track record of delivering relevant information to the web user when they want it.